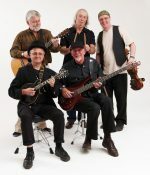 THE ENCORE is sure to get customers returning for a repeat performance. 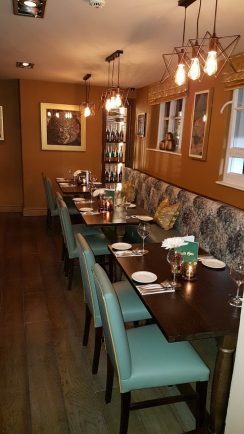 The pub, bar and restaurant, on the corner of Bridge Street and Waterside in the heart of Stratford, has just undergone a stunning refurbishment. 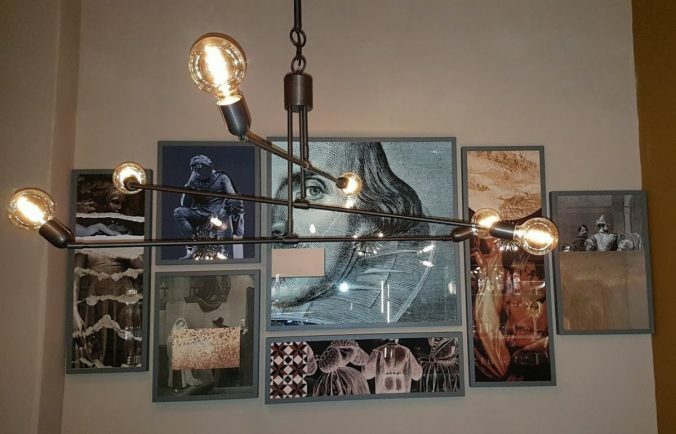 Inside The Encore’s historic walls, customers are greeted by a stylish contemporary interior which has been designed with a real eye for detail, but also a respect for the building’s rich history, which has witnessed over 400 years of town life. It’s comfortable and welcoming and even has a sense of fun. 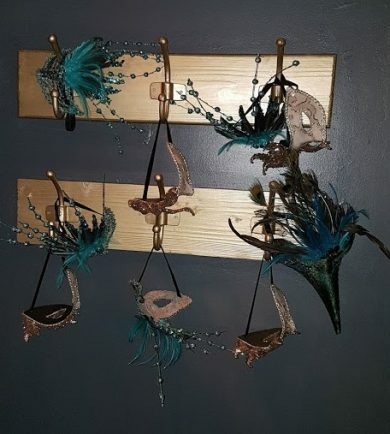 There’s a feature wall themed around the town’s most famous son, and customers are encouraged to get theatrical themselves by slipping on a mask and sharing their picture on Instagram. General Manager Kyley Jones has worked in the industry for seven years and is looking forward to welcoming customers old and new. 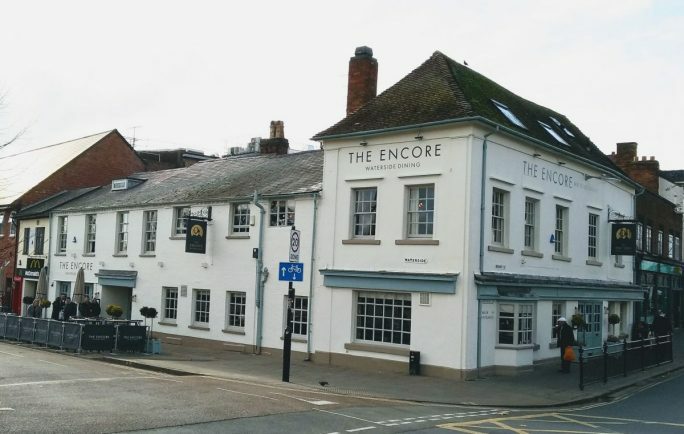 She said: “The Encore is a hugely popular pub and provides a hub for the local community so we’re really excited to be part of the team as it begins its next chapter. Diners can choose to eat indoors or outdoors. Either way they can enjoy the pub’s great location. The upstairs dining area offers wonderful views overlooking the Avon, and the outdoor seating area, which will come into its own in the summer, provides the perfect spot to watch the world go by, looking over the Bancroft Gardens towards the world-famous Royal Shakespeare Theatre. Of course, such an establishment can exude all the style in the world, but without a menu to match it would all be rather pointless. That is certainly not something customers at The Encore need worry about. Both drink and food offerings are excellent, and include a full vegan menu. The only real difficulty with the seasonal menu of freshly prepared dishes on offer is the problem it presents in making a choice. There is sure to be much umming and ahhing. There certainly was with our party, but we eventually did manage to make a decision. Our starters included superb Thyme-Roasted Portobello Mushrooms in a Cropwell Bishop blue cheese sauce, a wonderfully refreshing Lobster and King Prawn Pot with Devon crab creme fraiche, and a perfect Deep-Fried Brie with accompanying chutney. Mains saw a leaning to the sea. A King Prawn, Crab and Chorizo Linguini, with white wine, tomatoes, garlic and chilli, proved a winner, as did an inspired Seared Salmon Fillet, on a Chorizo mash, with tenderstem broccoli and Bouillabaisse sauce. The salmon was perfectly cooked, as was another of our party’s Pan-Fried Sea Bass Fillets, with panchetta, olives, spinach and a white wine veloute, although the accompanying parmentier potatoes needed to be crisper and softer. 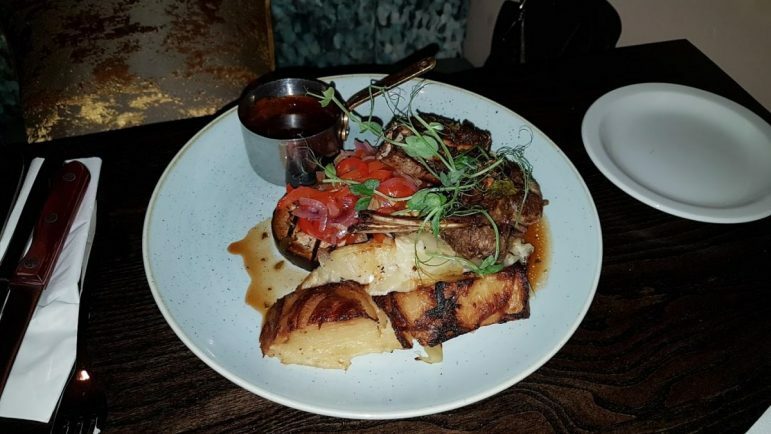 The Roasted Rack of Lamb, served with aubergine, roasted sweet peppers, potato dauphinoise and red wine jus, was proving popular with fellow diners, and it was not difficult to understand why when the dish arrived for one of our party. Portions are generous, but it’s certainly worth finding room for a desert. One of our party was not up to a full third course so opted for the Mini Desert and a Hot Drink, which is amazing value at under a fiver. Our own Creme Brulee expert gave the thumbs up to said pud, although would have like a slightly more caramelised top, and the New York Style Baked Cheesecake with forest fruit compote was substantial, but fully savoured. 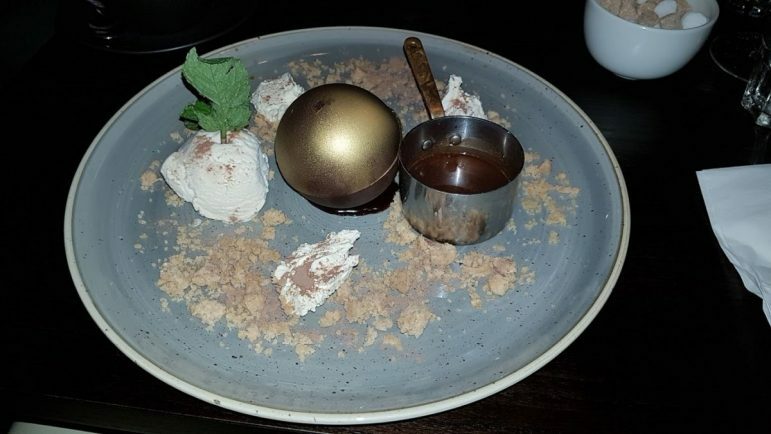 And then there was the Melting Chocolate and Peanut Bomb. Great British Bake Off fans will have seen contestants making them in the last series. Pour on the hot sauce to reveal sticky toffee pudding and peanut butter cream inside. It’s served with Bourbon vanilla ice cream and hot salted caramel sauce. It’s indulgence on indulgence. It’s a true showstopper, and also very shareable. 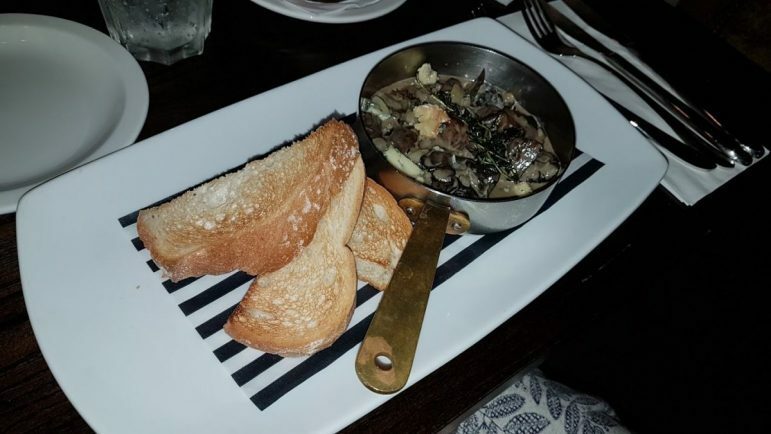 The menu also features a range of pizza, burgers and salads, and looking around it’s evident the same care goes into all dishes which leave the kitchen. 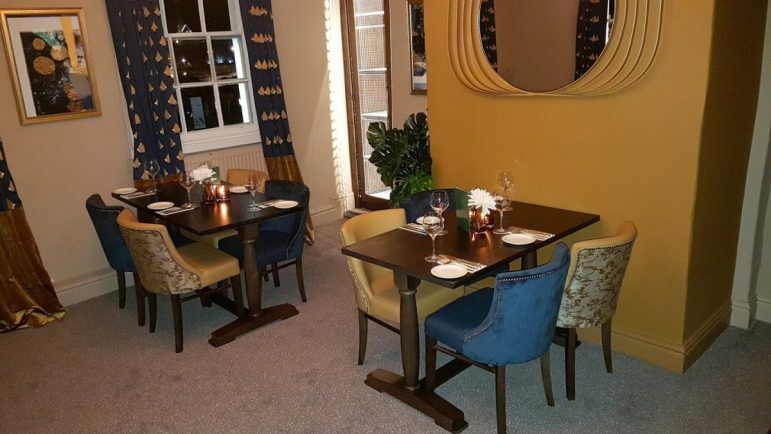 An extensive drinks menu includes a range of real ales, selection of cocktails, speciality gins, and a carefully selected and reassuringly unpretentious wine list. which dishes are their own particular favourites. 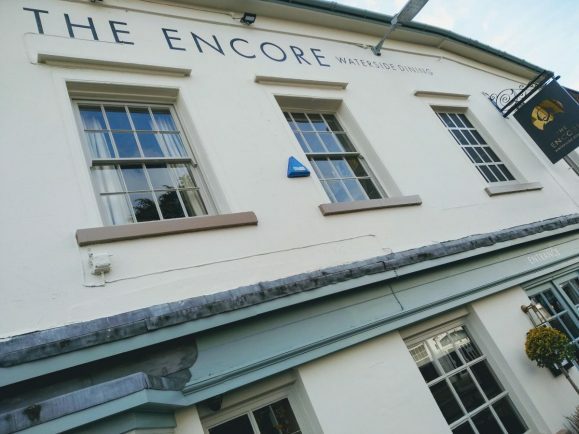 The current owners of The Encore have been running the premises for around a decade, and the extensive and far from cheap refurbishment, demonstrates their commitment to Stratford and their customers. 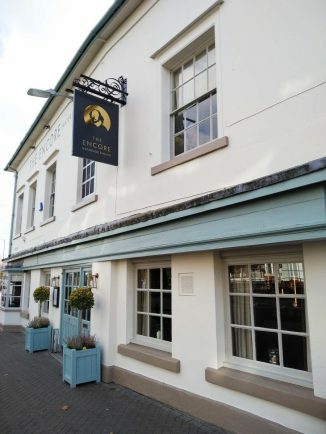 It is clear The Encore has all the ingredients – and not just those served up on the plate – to guarantee it remains a favourite among diners in Stratford. Visit www.theencorestratford.co.uk or www.facebook.com/theencorestratford to book and for full details.